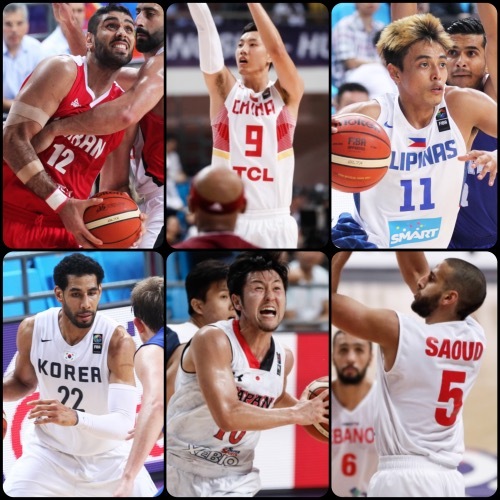 Day six in the 2015 FIBA Asia Championship confirmed the final team standings for Groups E and F and, consequently, determined the critical quarterfinals pairings. Gilas Pilipinas cemented top spot in Group E, while China remained unbeaten atop Group F. Iran, Japan, and India also advanced, while Qatar, Korea, and Lebanon made it to the next phase. 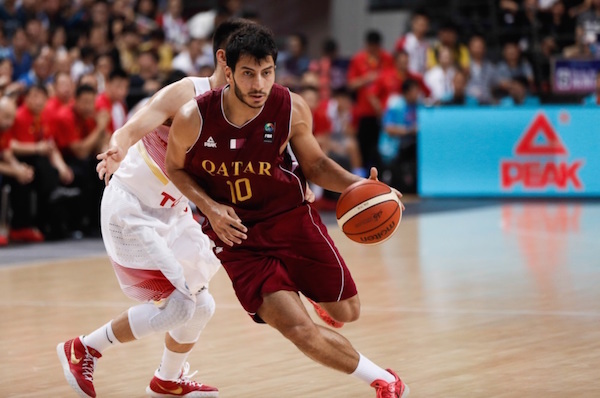 Iran were in a vengeful mood to start day six of competition in Group E of the 2015 FIBA Asia Championship. 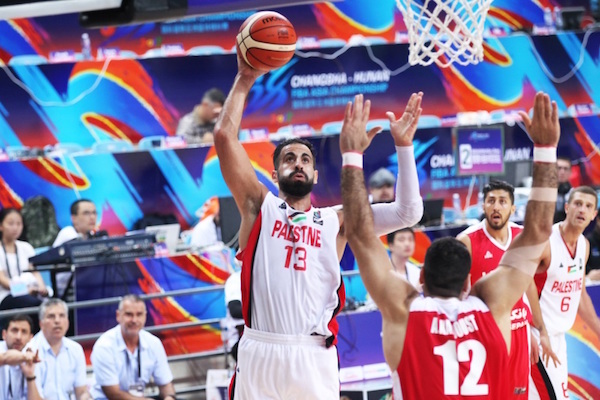 A day after losing to the Philippines, the Iranians obliterated Palestine and effectively booted the latter out of Quarter-Finals contention. Iran sparkled on both ends of the floor in this one, locking up Palestine for 21 turnovers and dominating them inside as well. The Palestinians clearly couldn’t match up with Iran’s size, depth, and energy. The two-headed beast of Hamed Haddadi and Asghar Kardoust were just too good in this outing, combining for 29 points and 22 rebounds, while veterans Mahdi Kamrani and Saeid Davarpanah also scored in double-figures. Palestine's big three of Sani Sakakini, Imad Qahwash, and Jamal Abu-Shamala bled for their points here, scoring only a combined 35 points on 13-of-42 field goal shooting. Asghar Kardoust barrels his way inside against Palestine. 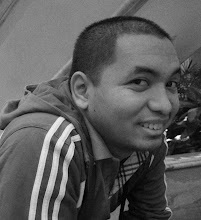 The Cinderella run of Sani Sakakini and Palestine met an abrupt end on Day 6. Japan utilized a strong third quarter push to break the game open and blow out Hong Kong. Save for the second quarter, Team Hayabusa didn’t encounter much resistance in this match as their size and overall talent were too much for Hong Kong. Coach Kenji Hasegawa’s wards outplayed their foes in almost every aspect. 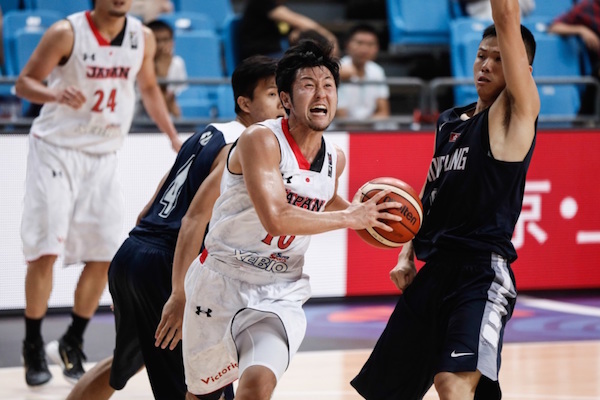 Four Japanese scored in double-figures, led by Makoto Hiejima and Joji Takeuchi, who tallied a combined 36 points Kenta Hirose also did well, scoring 12, while deadshot Keijuro Matsui added 11 points off the bench on the strength of three triples. 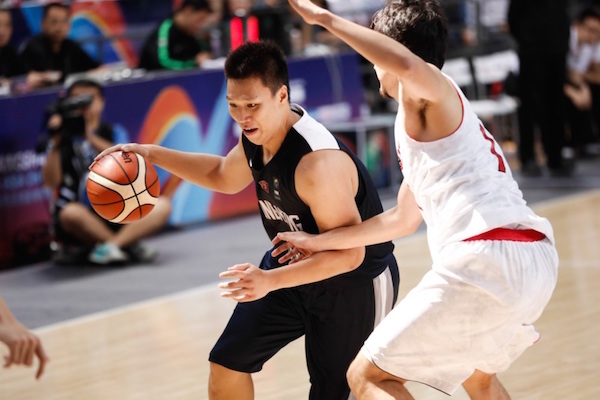 Hong Kong, meanwhile, was paced by Wong Chun Wai’s 14 points, while Duncan Reid had 10 points and 6 rebounds in the loss. Ryoma Hashimoto splits the Hong Kong defense. Wong Chun Wai had another good game for the Hong Kong quintet. The Philippines caught fire in the second half to blow past India at the close of Group E action. India had a good start to this game, leading after the first quarter, 17-16, before the Filipinos got their bearings and proceeded to take over. Coach Tab Baldwin’s wards had a strong second period to take the lead at the halftime break, and they broke the game wide open in the last two quarters, building a lead as high as 37 points. Terrence Romeo was the golden boy for the Philippines here, leading six Filipino players in double-digit scoring. Andray Blatche also did well, putting up 15 points, 3 rebounds, and 5 steals, while Ranidel De Ocampo tallied 13 points of his own on 6-of-7 field goal shooting. 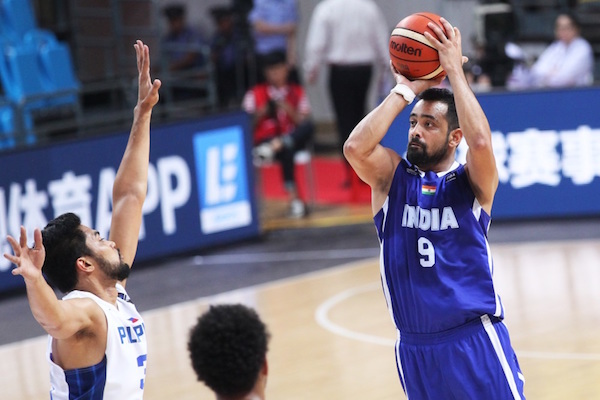 The Indians, winners of their previous two games, leaned on the troika of Vishesh Bhrguvanshi, Amjyot Singh, and Amrit Pal Singh, who combined to score 50 points. India’s bench wasn’t able to step up here, scoring just 3 points. 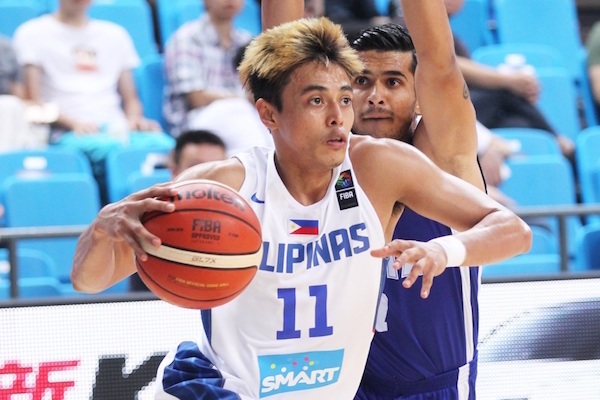 Terrence Romeo dazzled with 20 points for Gilas. Vishesh Bhriguvanshi pulls up over RDO. 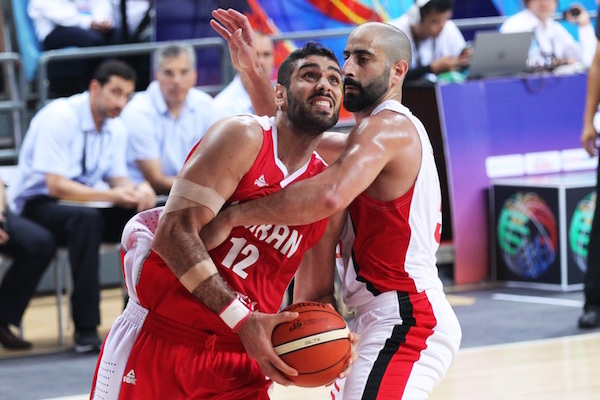 Lebanon snapped a two-game losing skid and edged Jordan to claim the final Quarter-Final spot on offer at the FIBA Asia Championship. Veselin Matic's side went into the contest on the back of defeats to Korea and China, but it found its shooting groove and appeared to take a firm grip on proceedings when going in front by 18 points three minutes into the second half. Jordan dug in and shaved points off the deficit until the very end, closing the gap to just three points. But they came up a couple of plays short of completing the comeback. Lebanon finished fourth in Group F and will now take on Group E winners, the Philippines, in the Quarter-Finals on Thursday. Amir Saoud came off the bench and led the Cedars with 20 points, while Jordan got a game high 24 from Alex Legion. Alex Legion and the rest of Jordan fell short against Lebanon. 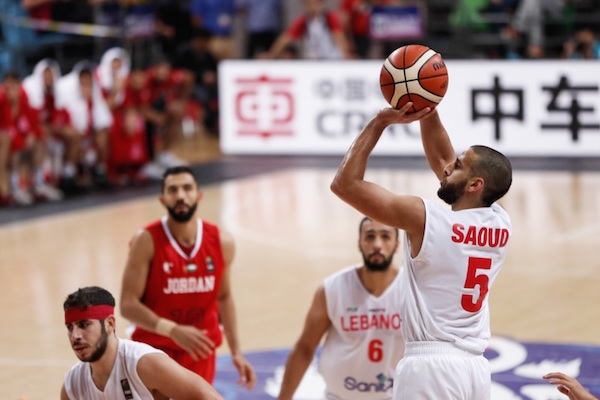 Deadshot Amir Saoud nailed 4 three-pointers to lead Lebanon past Jordan. 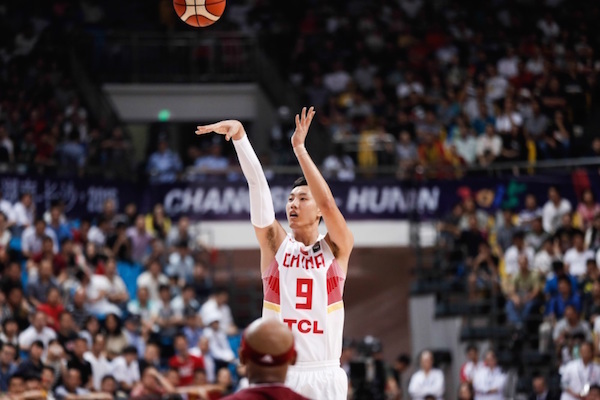 China romped over Qatar on to storm into the Quarter-Finals of the FIBA Asia Championship as the competition's only unbeaten side. Roared on by their own fans in Changsha-Hunan, the Far East giants went in front by as many as 16 points in the first half and 28 for the game as they clinched first place in Group F and set up a Quarter-Final against India, the fourth-placed team in Group E. The Chinese have beaten all of their opponents, save Korea on Day 2, by double-digit margins. China's perimeter game looked solid, with captain Zhou Peng making all three of his shots from long range and Li Gen drilling three of six. China floor general Guo Ailun was a model of effeciency, making four of his five shots from the floor and scoring 11 points while also handing out three assists. 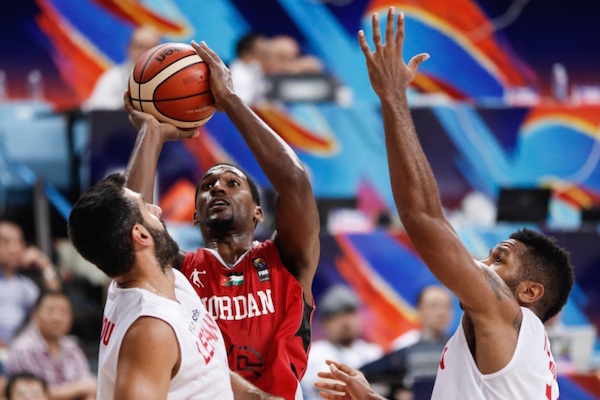 Two key Qatari players, Trey Johnson and Mohammed Yousef, did not play in the game. Saad Abdulrahman Mohammed is one of the bright young stars for Qatar. Zhai Xiaochuan and the Chinese made quick work of Qatar. 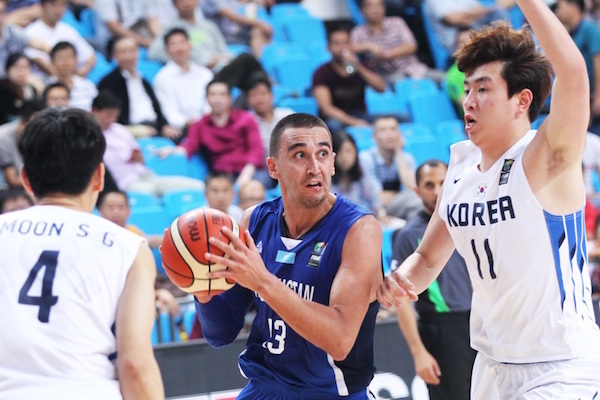 Kazakhstan seemed to be in control of things after leading at halftime, 32-29, but the Koreans had other plans. Coach Kim Dong-Kwang’s wards unloaded a 30-12 bomb in the third period to overhaul their deficit and wrest control of the contest. 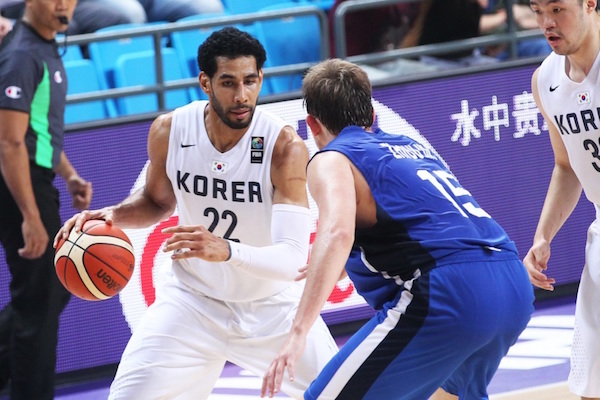 Moon Tae-Young finally made his presence felt for Korea, scoring 16 points on 7-of-9 FG shooting, while Lee Seung-Hyun and Kim Tae-Sul added 12 and 11 markers respectively. Kazakhstan’s top players, Jerry Johnson and Anatoliy Kolesnikov, no longer played in this one. Dimo Klimov carried the offensive load for the Kazakhs with 22 points off the bench. Korea will face Iran in the quarterfinals, while Kazakhstan bows out of contention. Moon Tae-Young had somewhat of a breakout game for Korea. Rustam Yargaliev and the Kazakhs got eliminated from title contention.